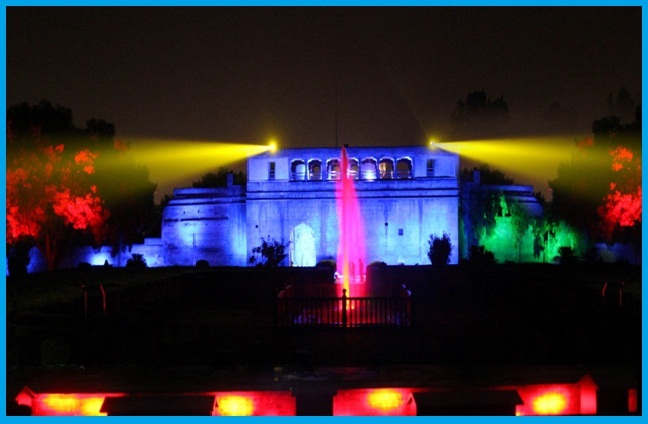 Witness the story of Shrimant Bajirao Peshwa at Sound and Light Show at Shaniwarwada in Pune. The mesmeric show integrates video and laser projection on a water screen made of vertical jets along with colourful and exciting LED lighting displays on the surrounding areas. These show elements are synchronized with the narration of a golden period of Peshwa Bajirao in the history of Maharashtra. This was inaugurated by Shri Sharad Pawar , President of Nationalist Congress Party & Former Union Minister., Government of India on 5th June 2016.